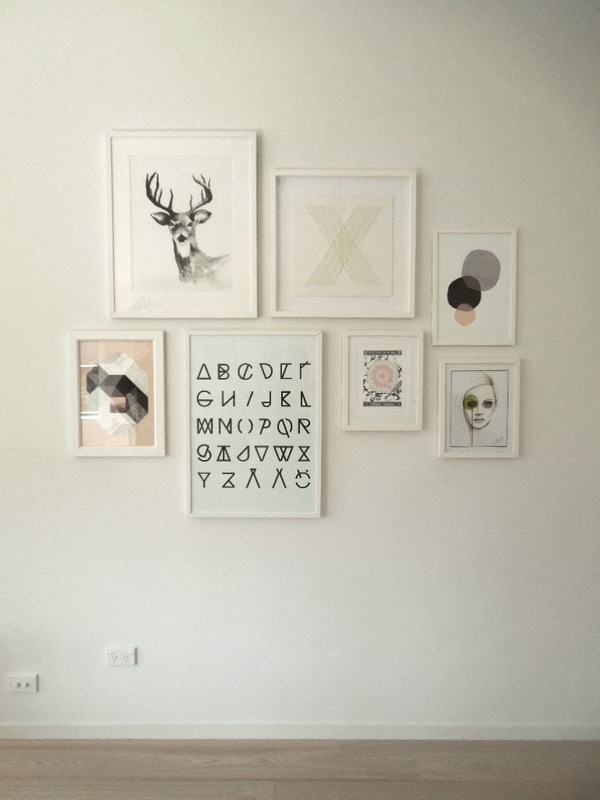 I'm very excited to be kicking off a three part blog series today called Love Your Walls, as part of a campaign for 3M Command Picture Hanging Strips. 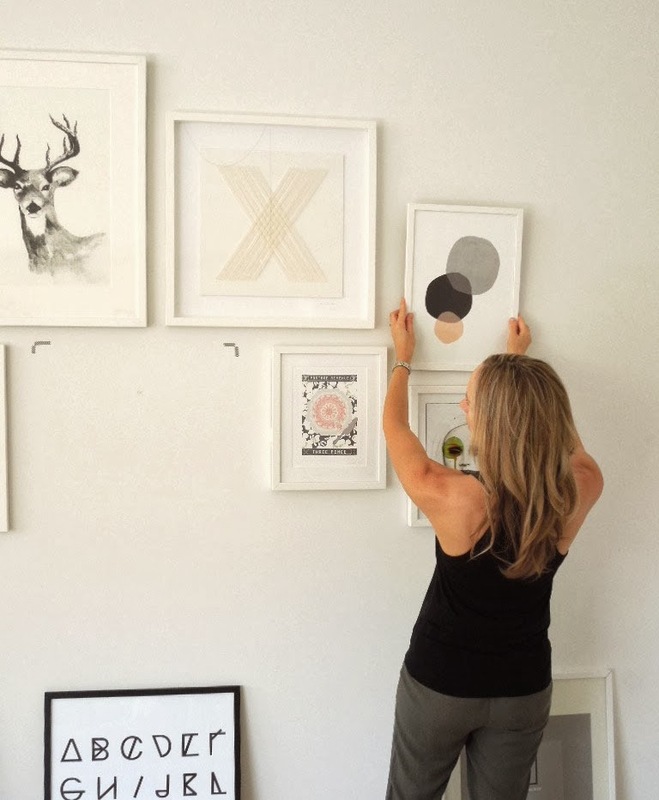 To demonstrate how easy and effective they are to use, I will be styling three different walls in my home and taking photos to share with you. I've started with our main living area, as I've been wanting to update the picture wall for some time. While I don't mind a bit of DIY, I prefer to leave anything that involves a drill or hammer to my husband, and for that reason, the 3M Command strips are ideal. No tools required, so I can take charge! I also know that this won't be the last time I change things around, and that like this update, I'll be combining different sized frames, some of which are fairly heavy. As such, the strips are the perfect solution. In addition to providing the best, damage-free hanging, they hold strongly. In fact, the large strips can hold up to 7kg. Deciding on an all-white theme for the frames this time around, I first needed to swap out black for white, and add in a few new ones. The original picture wall was hung with traditional picture hooks, so I removed these, and replaced them with the 3M Command strips, ensuring there were no bulky attachments on the back of the frames. Once the strips are applied, the frame needs to sit flush against the wall. Not only are the strips easy to use, and strong enough to hold even my heaviest frames, I love that the pictures now all sit flat. What's more, I know that the next time I feel like a change, they can be removed cleanly, without causing damage to our walls. 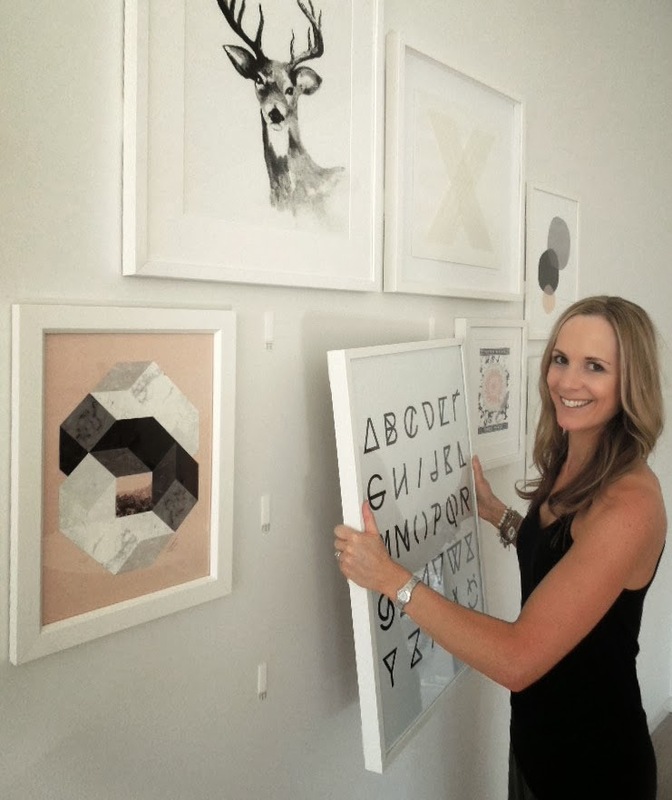 Check out this 10 second video featuring Australian Interior designer and TV personality Tara Dennis, showing how she uses 3M Command Picture Hanging Strips to design her picture wall, and for a full list of stockists, pop over here. I love the frames! Where did you get them from? I'd love to know where the deer print is from...? Does that really work? That would be fantastic! I always have to ask my husband to drill some holes in the wall. These are such a great idea!!!! I love he photo/picture wall! I really like your coffee table. Can you tell me where you purchased it or what brand it is? 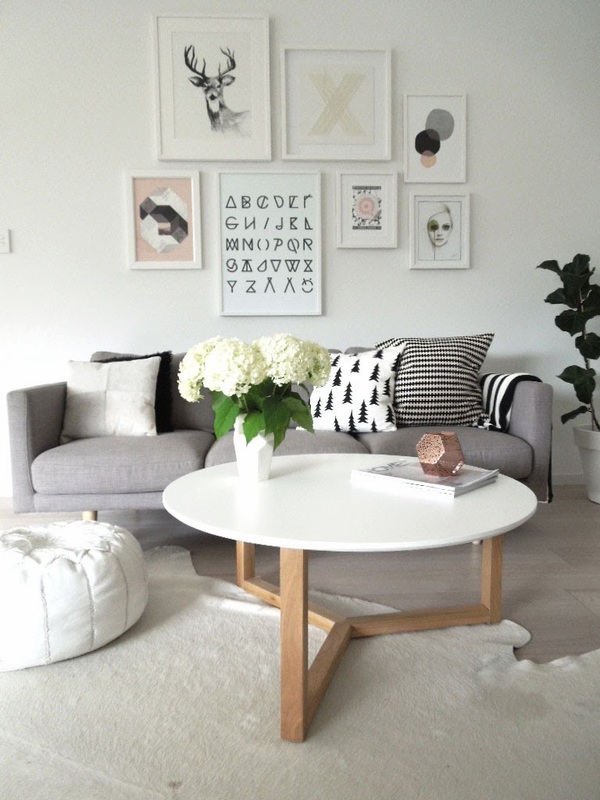 Where is the grey sofa from please?